On the anniversary of what would have been Nelson Mandela’s 100th birthday, students of Christel House South Africa along with partners from Dell EMC teamed-up to celebrate the anti-apartheid activist, political leader and President of South Africa. 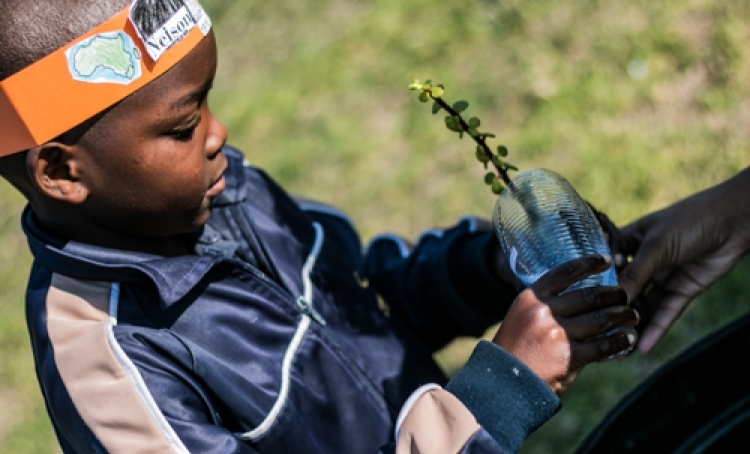 To honor Mandela’s memory, students were encouraged to help clean up their communities by bringing two plastic bottles to school; one to recycle and the other one in which to plant a Spekboom tree to take home. With drought issues in South Africa, the Spekboom is an eco-friendly tree – it requires very little water and is a CO2 guzzler, off-setting harmful carbon emissions. The Mandela event was a true teaching moment. Young students learned about the inspiring leader, remembered as the “Father of the Nation,” and honored his legacy by improving their neighborhoods.